MCT holds volunteer sessions. New comers are always welcome and it’s easy to find us on the site. 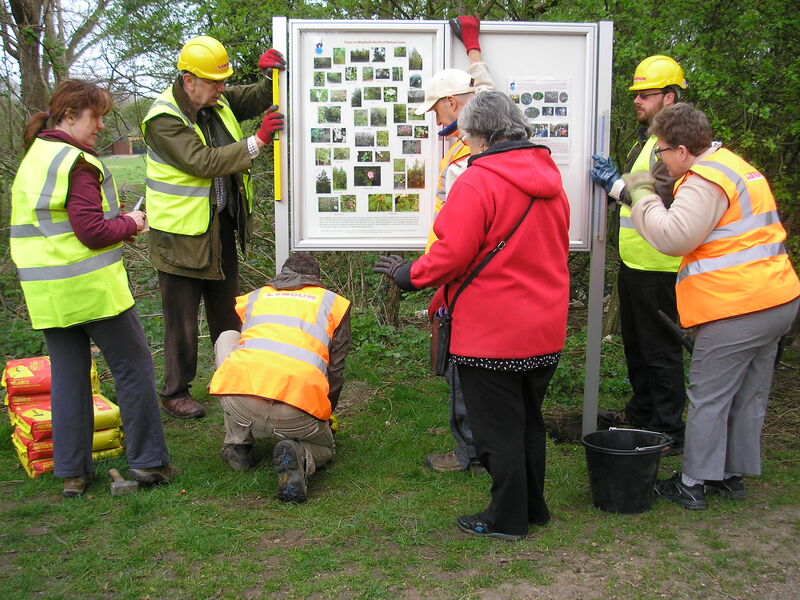 Our regular Sunday volunteer sessions usually run from 2 in the afternoon for an hour or 2. Look at our Facebook page for updates if you’d like to help and have an hour or so to spare. Volunteers are always very welcome. 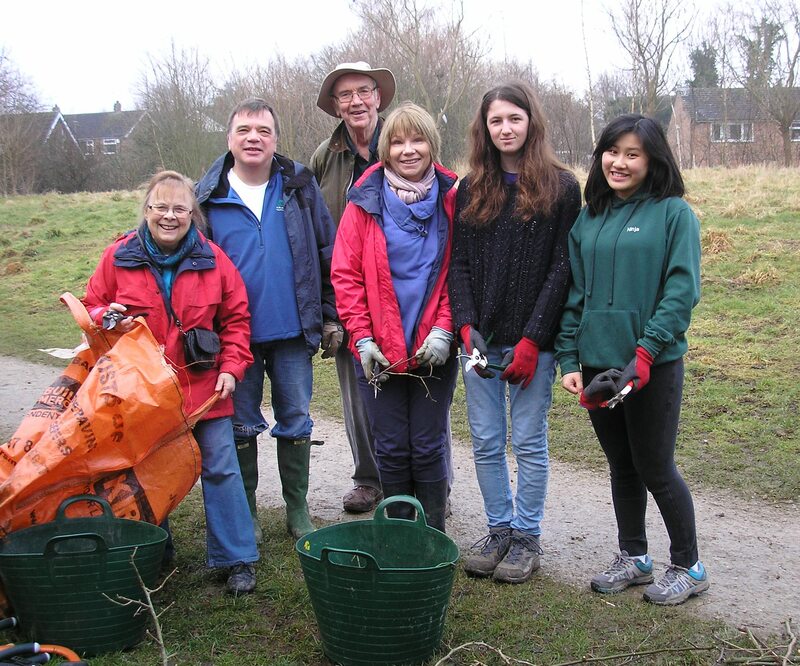 The photo below shows one of our volunteer groups in 2015. 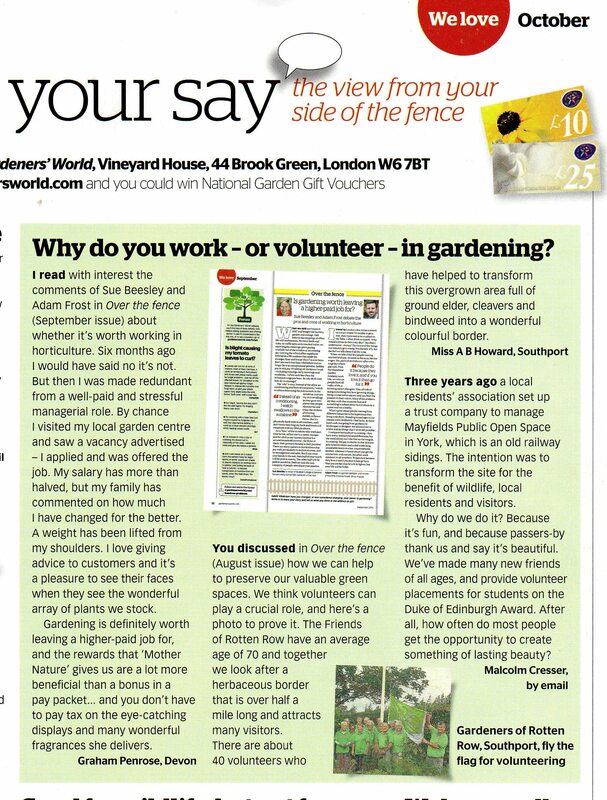 It was nice to see the Field-work Co-ordinator’s letter about why we volunteer to work on the Mayfields Public Open Space published (at least in part!) in the October 2015 issue of Gardeners World. If you’re not impressed by the letter the Autumn hues photos elsewhere in the issue are spectacular! 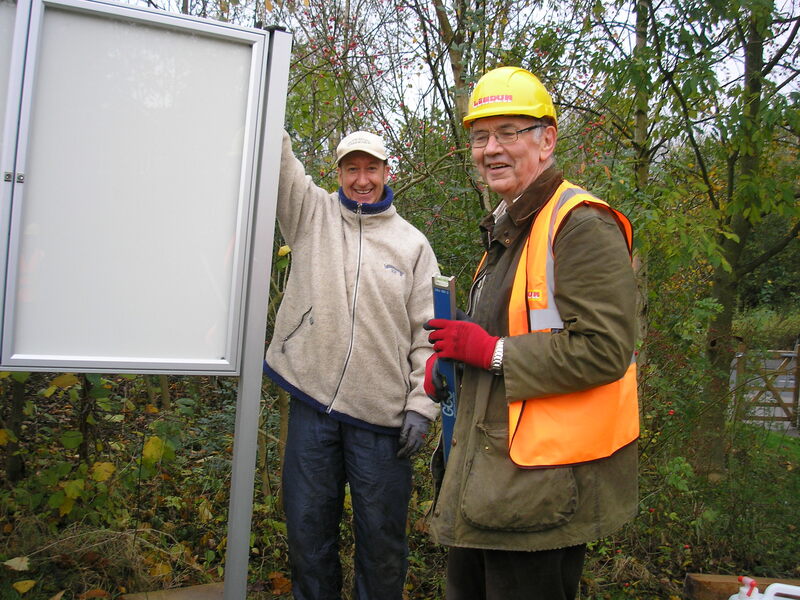 On Saturday the 8th November, 2014 eight volunteers set up the first of 2 information boards about the Mayfields Public Open Space near the gate at Nelsons Lane. 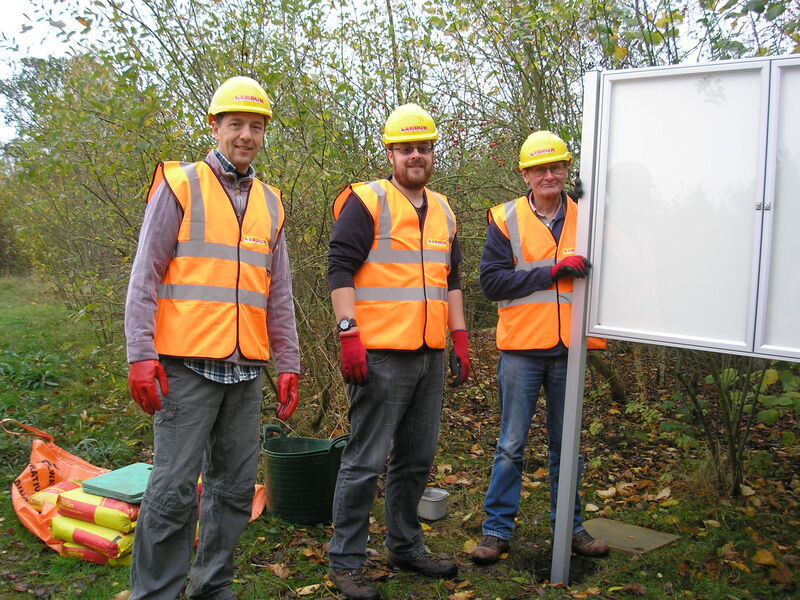 Pam’s photos show Steve Cinderby with Malcolm (the field work co-ordinator) (left) and Richard Kelsall, Dave Moore and Mike Ridealgh (on the right), relieved to find the posts fitted into our pre-excavated 65-cm deep holes! Dave Munley and Louise Cresser also helped with installation and Pam Brown kindly recorded the event for posterity. Thirteen turned out on April 12th in 2015 to help put up the 2nd board in even larger holes. Installation of 1st (above) and 2nd (below) MCT information boards. 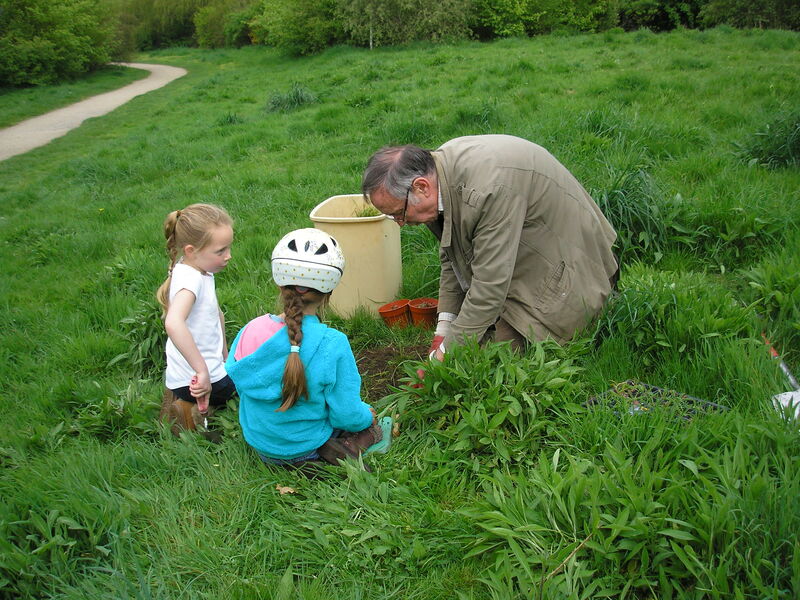 Lucy Brown and Millie Brown helping the field work co-ordinator adding extra wild flower species on the meadow. 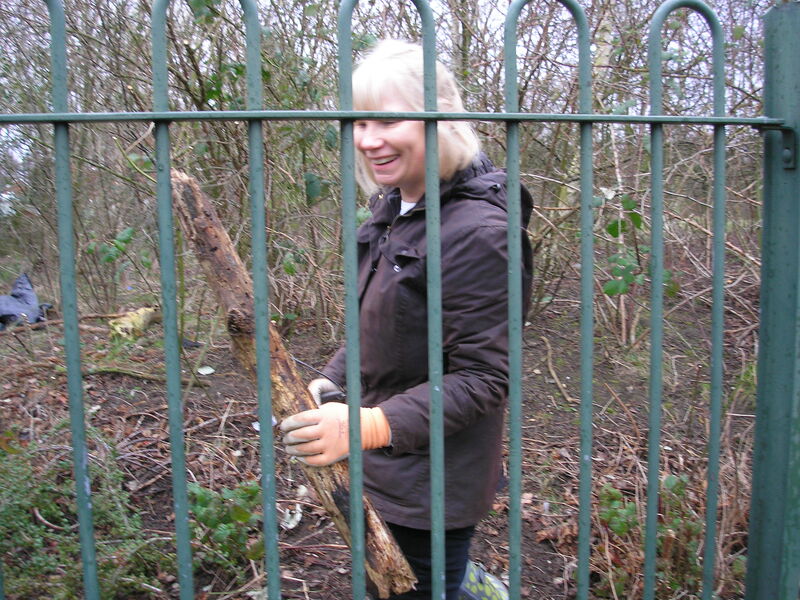 Lesley caught on camera by Pam Brown while helping clear the area beside the childrens’playground.